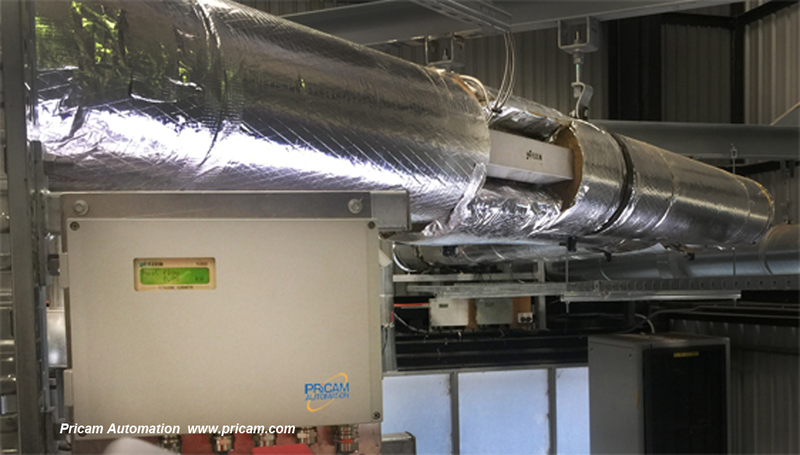 Clamp-on ultrasonic flowmeters provide the ideal non-invasive technology to measure thermal energy usage and efficiency on heating loops and chillers as well as for energy allocation in commercial buildings. Portable and Permanent solutions are available. 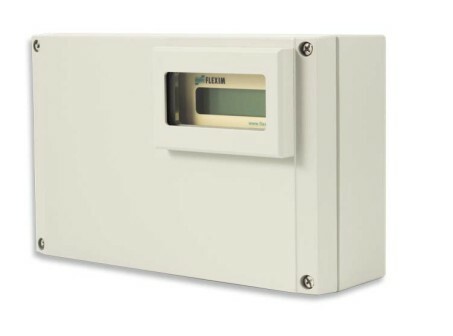 Flexim is the meter of choice for small and large commercial buildings including: hospitals, museums, airports and sports complexes. 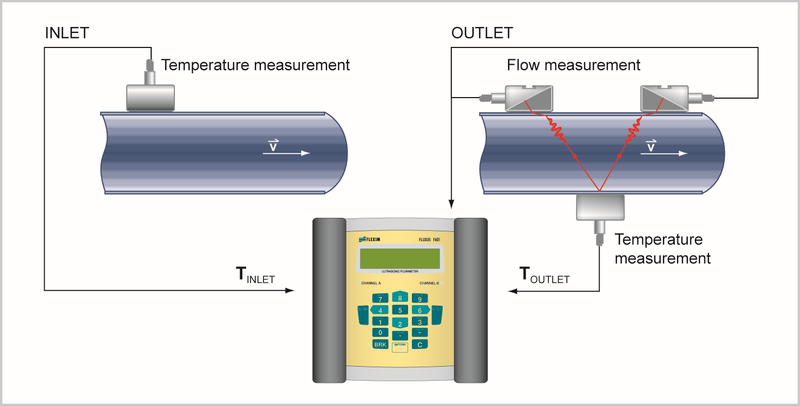 The Flexim system measures the flow rate in the loop then multiplies by the differential temperature between supply and return flow and accurately calculates the thermal energy in the loop. 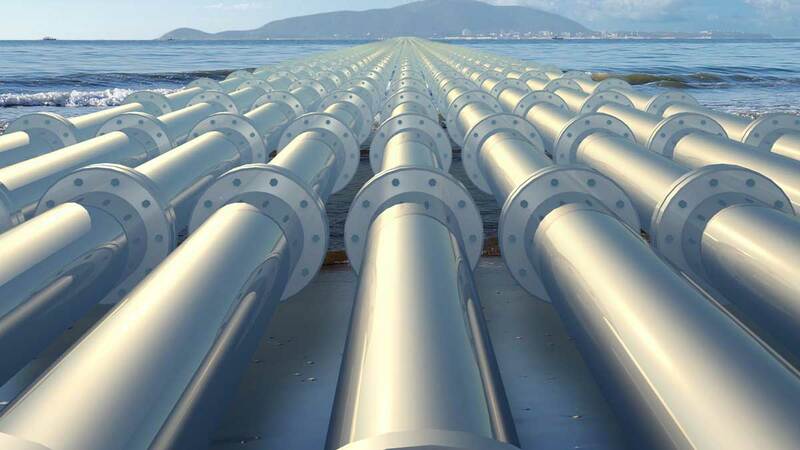 In addition to hot or cold water flow, customised internal look-up tables can be loaded to enable the measurement of other fluids such as thermal heating oils or glycol and water mix. 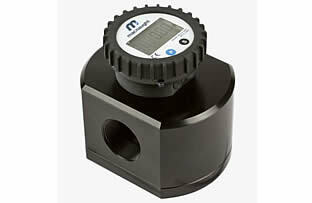 Both portable or permanent configurations offer internal datalogger. 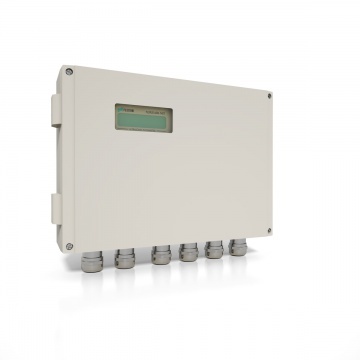 The Flexim flowmeter integrates seamlessly with your BMS by providing a choice of outputs including 4-20 mA, Modbus, BACnet, Ethernet and PROFIBUS. 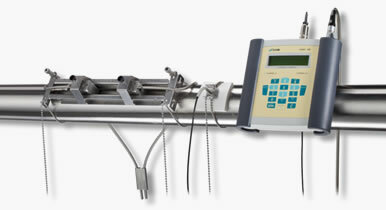 Standard sensors capable of measuring up to 200C. Higher temperature available with a patented wave injector technology. Our experience in the field can help you achieve optimal results. 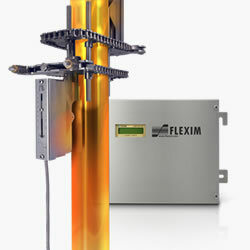 Flexim F601 portable flowmeter with transducers on pipe.